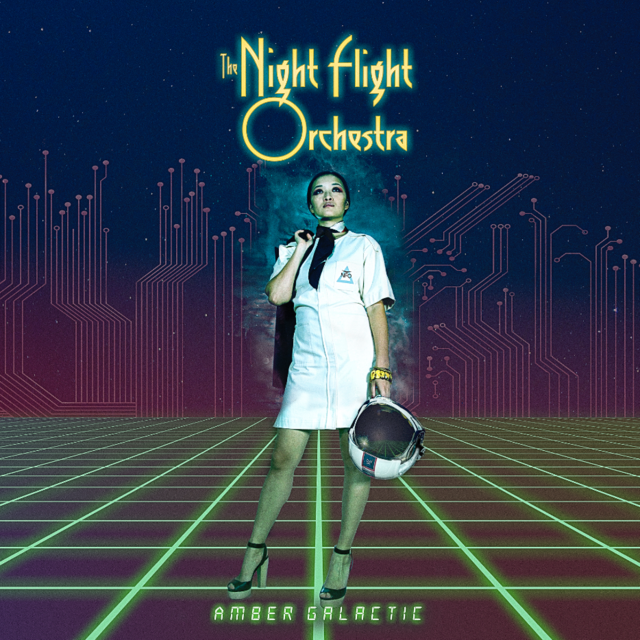 Swedish classic/progressive rock supergroup THE NIGHT FLIGHT ORCHESTRA – featuring members of metal frontrunners Soilwork and Arch Enemy – have revealed the album cover artworks for their forthcoming third studio album, Amber Galactic, which is scheduled to be released on May 19, 2017 via Nuclear Blast. See the standard album cover above. Singer Björn Strid states: “Amber Galactic” is a relationship drama set in space, the first classic rock space opera on double vinyl. As seasoned musicians, we’re taking this project seriously, although we might come across as slightly retrofuturistic at times, there’s no irony involved. It’s just us trying to shape our future into a place where our race is led by female space commanders with pearl necklaces and a quasar sense of gravity. “Amber Galactic” is about setting free from genre boundaries and expectations that are put on people like us. We just want to create music that we would like to hear ourselves, but that isn’t only for us. Amber Galactic will be available as a limited edition digipak CD featuring an alternate cover art (see below), 2LP vinyl (black and violet sparkle) and as digital download and stream via all known platforms. Amber Galactic was recorded at Handsome Hard Studio in Lund, Sweden. The album follows THE NIGHT FLIGHT ORCHESTRA‘s two previous releases, 2012’s Internal Affairsand 2015’s Skyline Whispers. Stay tuned for more coming soon in the world of THE NIGHT FLIGHT ORCHESTRA!